Kelliher, MN, population 262, sits northeast of Bemidji, MN about 50 miles and a little ways east of the massive Red Lake. A small, unassuming town a little ways off of any main road, it is the final resting place of the beloved folklore hero of the pines, Paul Bunyan. As legend goes, Paul Bunyan was quite possibly killed by an Indian who was upset with him for cutting down so many trees. There is a statue of this Indian, named Nanobojo, in Bemidji. In case you were wondering, Nanobojo beat him to death with a fish. Tough way to go. One can pay their respects to the woodsman in a city park as you enter Kelliher from the south. On the east end of the mound is a plaque that reads “Here Lies Paul, and That’s All.” It appears Paul was 99 years old when he died in 1893. It does not indicate where Babe ended up, nor his wife or son. The gravesite is actually a kame, which is a mound composed of sand or rocks, that forms when a glacier retreated past, thousands of years ago. Always trying to one-up us, Wisconsin has laid claim to Rib Mountain outside of Wausau, being the burial place of our hero as well, but everyone knows the truth. 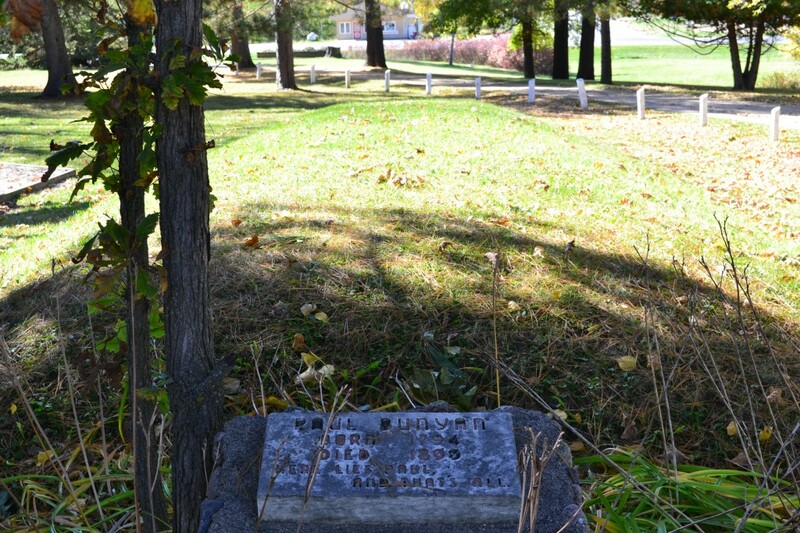 Kelliher is the true site, much like the birthplace being here in MN as well. While in the area: If you’re this far north, check out the mysterious Lost Forty. Also, just north of Kelliher is the Big Bog, which has a great boardwalk through an immense jungle of swampland. 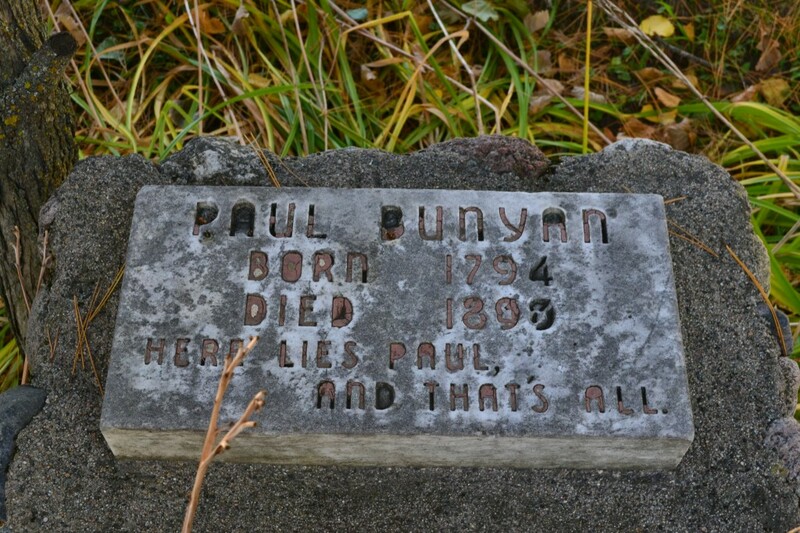 This entry was posted in Highway Highlights and tagged Gravesite, Kelliher, MN, Park, Paul Bunyan by Seth5544. Bookmark the permalink. Kame? This ‘gravesite’ was built by my great uncle, probably with the help of a couple of his friends to promote tourism in their small town. He was a lumberjack and lived in Kelliher with his family. We visited from Iowa in the summer during the 1950s and he proudly took us by to see his creation. Very cool, thanks for sharing that info!